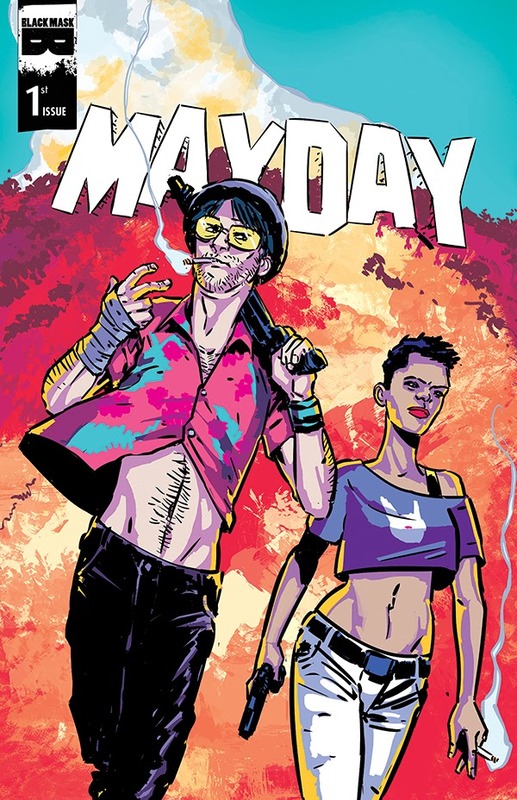 A washed-up, drug-addicted screenwriter and a transgender bartender stumble onto a Satanic cult’s plan to sacrifice people all across LA (geomapped in the form of a pentagram, of course) and bring on armageddon. As our intrepid, damaged heroes embark on a suicide mission to stop the crazy cultists, even they wonder if this is all really happening or if they’re just plain batshit crazy. Probably both. The latest project from the mind of white hot scribe Curt Pires (POP) sees him teaming with art sensation Chris Peterson (Grindhouse) for a story that cuts to the very center of Hollywood mythology and depravity itself. 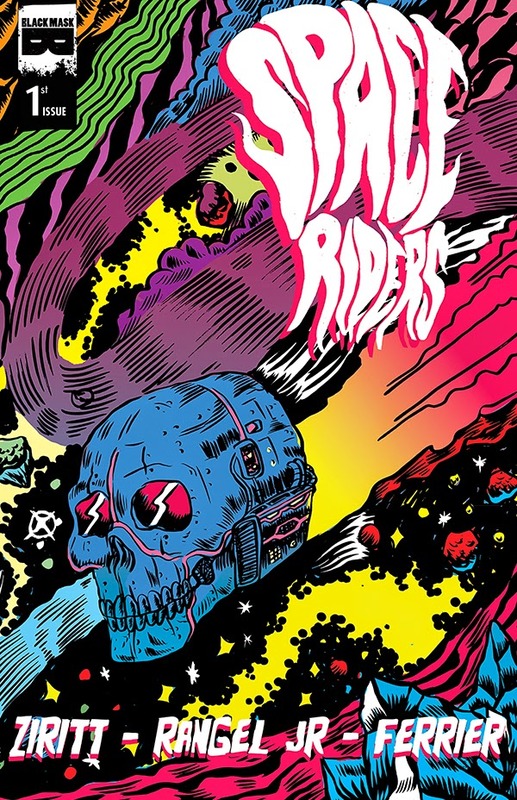 Sailing the cosmos in the Skullship Santa Muerte, Capitan Peligro and his fearless crew deal harsh justice to the scum of the galaxy while searching for the forbidden truths of the universe!! Navigating the halls of high school is never easy. And for teenage outcast Duncan and popular girl Madison things are even harder. They share a secret- they can do things other people can't. But their abilities and need for secrecy take them down a dangerous path. 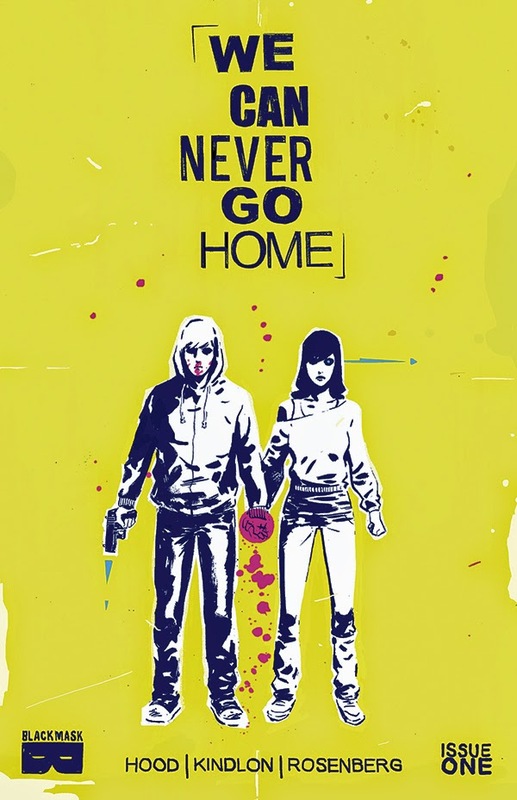 A love letter to crime/road tales like Badlands, 80's coming of age films like Pump Up The Volume, and askew superhero comics like Runaways, WE CAN NEVER GO HOME still carves out it's own path. It is a new chance to fall in love with the lost misfits and doomed dreamers who set off to find something bigger. 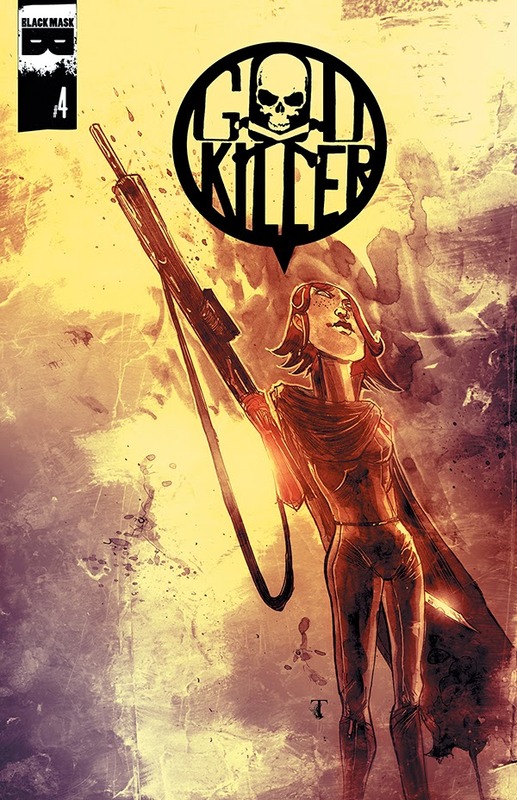 The debut creator-owned book from artist Josh Hood (JLA: Scary Monsters, Venom), and writers Patrick Kindlon (Menu) and Matthew Rosenberg (12 Reasons To Die, co-writer of Ghostface Killah's new LP 36 Seasons). Godkiller returns for the second half of the beloved ‘Walk Among Us’ arc beginning with issue 4, where Tommy meets notorious bounty hunter Soledad and commences his training in the mysterious arts of quantum-physics-based magic. 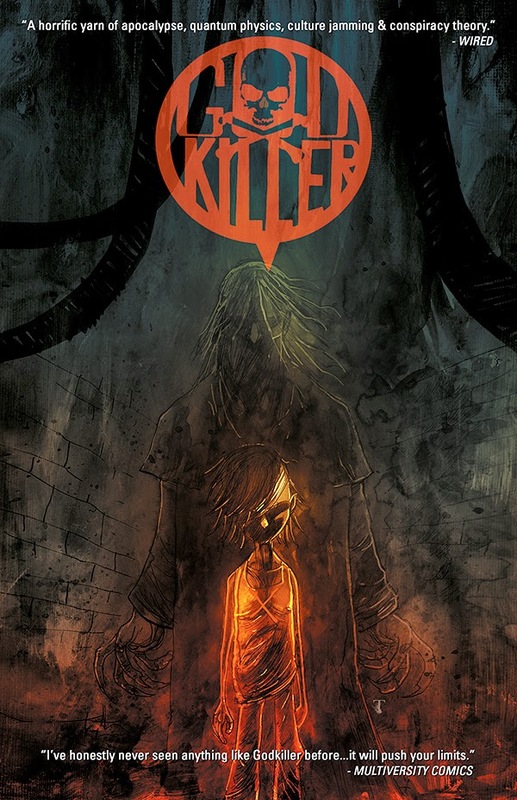 Godkiller has grown in notoriety and fandom since issue 1 debuted in October, this is a perfect jumping on point since issue 4 will street alongside the first trade collecting issues 1-3 (100+ pages since two issues were double-sized) also dropping in March. Don’t sleep on this unique series that earned sleeper hit status when stores demanded reprints of #s 1 & 2 and #3 topped Diamond's Advanced Reorder Charts. Darick Robertson (Happy, The Boys, Transmetropolitan) and Adam Egypt Mortimer’s madcap, psychedelic, transreal buddy adventure about Butch and his best friend Gun, a drug-addicted, genetically-modified, foul-mouthed firearm, as they attempt to elevate Butch from air conditioner repairman to master criminal in the twisted, post-eco-apocalyptic Repo City State, a reclaimed trash island built entirely from DNA-based, living technology with bad attitudes. 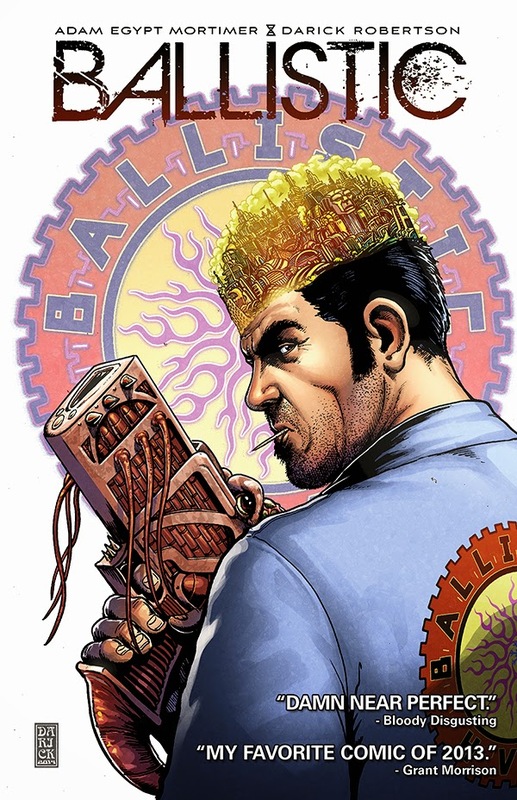 This critically acclaimed, spiritual successor to Transmetropolitan was all over the Annual Top Ten Lists, including USA Today’s “Most insane read of 2013,” Bloody Disgusting’s “#1 Debut of 2013… damn near perfect,” and even Grant Morrison said “Ballistic is my favorite comic of 2013”! Don’t miss this unhinged masterwork now that it’s finally collected into one mindbending book.